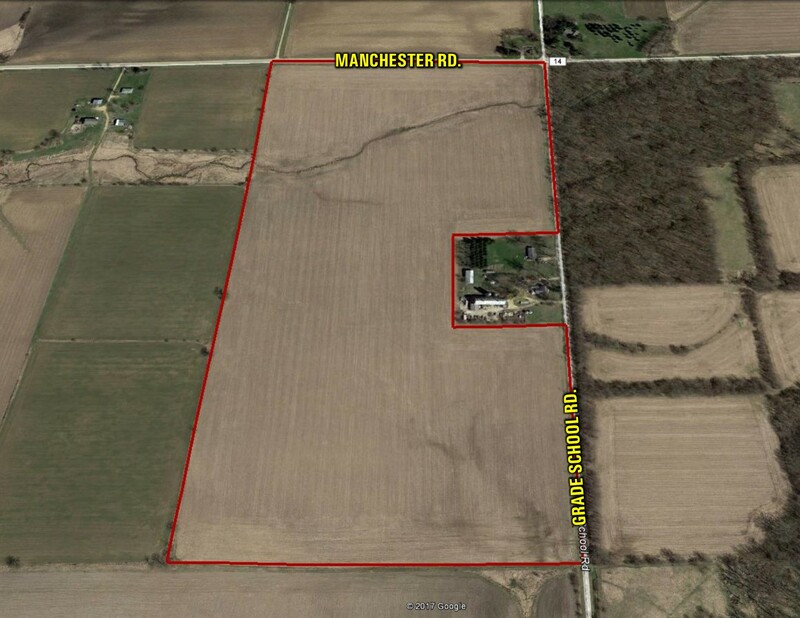 Opportunity to own 75 surveyed acres of productive Boone County, Illinois, farmland in a strong farming area. 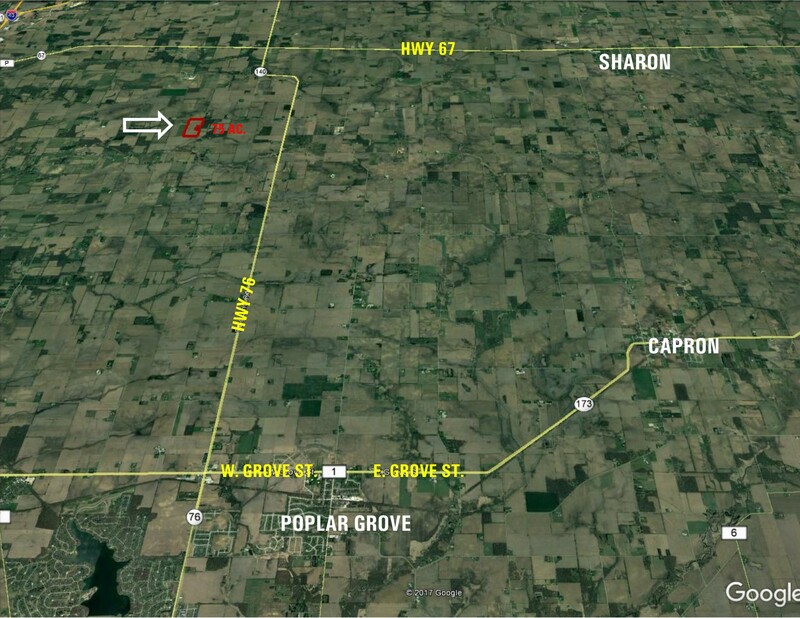 The farm includes approximately 73 tillable acres with a 118 PI. Productive soil types include Kendall, Pecatonica, Flagg and Orion loams. Waterways have recently been cleared and tiled. The East 1/2 of the Northeast 1/4, excluding acreage, Section 16, Township 46 North, Range 3 East, Boone County, Illinois. North of Poplar Grove Rd. on Grade School Rd. to Manchester Rd. The farm in on the Southwest corner of the intersection of Grade School Rd. and Manchester Rd.